These are generic ways to greet someone. What does it say about the sender when you see an email addressed this way? It shows that they did only the bare minimum. They figured out your gender and that’s about it. It shows that a company is not taking a customer (i.e. you) seriously. On the receiving end, the customer would lose interest instantly. If he doesn't mark the sender company's email as spam, he would definitely unsubscribe from their emails. An email addressed directly to you generates curiosity. After all, the sender took the time to figure out your name; someone is talking to you. If an email starts with the customer's name, it will at least make the customer read the email. If the email is written well, the customer might click a link in the email, read a few articles on the website, and might even buy something. This chapter is about email personalization. We receive so many of these automated emails in our inbox. If the company does not bother to customize the template email copy or does a poor job of it, emails may start to feel robotic and unnatural. All the unaltered use of software may take away the human element. By using personalization and email automation, you save time and nurture your leads effectively. Isn't it enough to segment your audience into buckets and send them targeted emails? Won’t it drive the kinds of sales and conversions your company craves? Yes, it certainly will. But it works ONLY to an extent. It can make your emails relevant to the reader, but it does not make the emails interesting. The reality is, people won't read anything if they don't feel connected to it. The modern customer thinks "What's in it for me?" before even seeing the brand name. Few brands have been able to inspire loyalty and overcome that resistance. Most small businesses are far from that stage of devotion from their audience. If you read EngageBay’s inbound marketing guide, then you know there’s more to the equation than just segmentation; you also have to engage and nurture your leads. This builds trust and forges a relationship between the company and the prospective customer. That relationship, if strong enough, encourages leads to buy. It encourages and inspires them to become a customer. According to 2016 data from Statistica, people open 13.1% of emails that have no personalization. Personalized emails are opened 18.8% of the times. Through personalization, sales may spike up to 20%, says Monetate. Campaign Monitor, a marketing company, found that it’s possible to boost revenue by at least 760% if you create segmented, personalized campaigns. Financial company Experian reported that customers were more likely (6 times more) to make a transaction after getting a personalized email. Campaign Monitor reported that among its own customers, there was a 26% increase of open rates when emails had personalized subject lines. What to personalize, and where to use personalization? You know you should personalize communications with leads and customers. You might wonder what kind of personalization your company should use. Let’s break down what elements of your email you can personalize and how you can personalize it. If a school friend saw you on the street and shouted your name, you would instantly turn around because someone wants to talk to you. It makes you alert and you take immediate notice; it makes you feel important. This is the easiest means of personalization that can, and should appear in your emails. You want the email to be addressed to the lead or customer specifically. Only using the first name is enough to get people to notice and start reading. Using a first name makes the email less formal. It does not mean the lead/customer will read the entire email just by seeing his name. The rest of the email should be easy-to-read and persuasive towards your goal of conversions and/or sales. It’s no surprise that subject lines are more important than ever. People get too many emails, so companies must compete however they can. To see a higher open rate, you need a personalized email subject line. These companies will use emojis, all caps, exclamation points, and big numbers to capture the reader’s attention. You can do all that (as appropriate), but you’ll get way more results with personalization. Start with a customer’s buying history. You can also send out special discounts on their birthday. The most effective way to personalize your subject line is by adding the person’s name to it. This may seem a little too simple, but it works. According to Constant Contact, click-through rates may go up by 41% and the open rates by 29%. Now that you’ve personalized the subject line and the opening of your email, you can use a little more generic personalization techniques in the body of the email. You can still mention customer's name in the body, but that trick should not be overdone. Email body is where you can rely on audience segments. If you have created buyer personas, your personalization could be even more effective. You will use their unique characteristics to appeal to each segment of the audience individually. As we covered in Chapter 2 of this guide, those segments can be based on gender, location, shopping history, occupation, income, and more. Whether you’re introducing a product or highlighting a service offer, keep these segments in mind. Another way you can personalize the body of the email is through automated behavioral trigger emails. Email automation software track what a customer does on a website and then entices a certain behavior. Maybe a customer put something in the cart but didn’t check out. You may send them a discount code so they finish the transaction. Perhaps they made an account but haven’t showed much activity afterwards. You could remind them of the benefits they are missing in their account. According to Kissmetrics, automated behavioral trigger emails can boost open rates by upto 152%. Knowing the interests or pain points of your audience can pay off really well when personalizing emails. For example, let’s say you sell fitness equipment. If a customer practices Yoga, then you could direct them to landing pages about yoga mats and fitness gear. If another customer is into bodybuilding, you might use a link to a landing page on dumbbells, weight belts, and exercising gloves. These links can be used during campaigns, or inside emails. This is a small but significant means of making emails more personalized. The lead finds just what they need, which could incentivize them to buy. 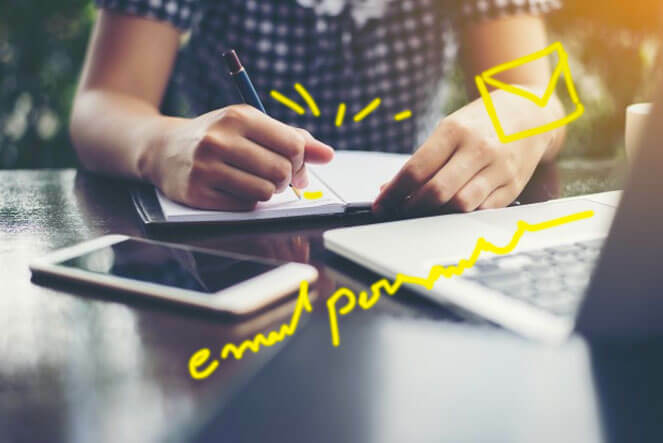 Email personalization can increase your open rates, click-through rates, boost sales and revenue, and convert leads to customers. If you’re not already doing it, it’s definitely time to start. It all begins with knowing a little about your customer besides their name. This information lets you write personalized headlines, email body content, and links to specific landing pages of interest. A key component of relationship nurturing is personalization. Remember that a nurtured lead is one that’s ready to buy and convert. If you nurture them well, they could become a repeat customer. Chapter 1: What Is Automated Email Marketing?